Who Says Horseplayers Don’t Celebrate the New Year? Well, while we may celebrate a bit differently than other folk (by burying our noggins in the Racing Form on New Years Eve, rather than tying one on! ), we nonetheless anticipate with joy the turning of the page, and the strengthening of our resolution to make 2019 a great year at the mutuel windows! And to help you celebrate we have a Great out-with-the-old-and-in-with-the NEW offer for you! >>>How about a Formula designed for Quantum Engineering that has been converted into a dynamite selection strategy that is both consistent and pulls in Great Prices! 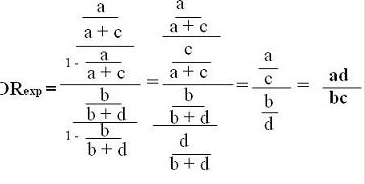 A Widely used, mathematical Engineering Formula adapted to Thoroughbred Racing – Super Fast & Easy & Super-Effective! 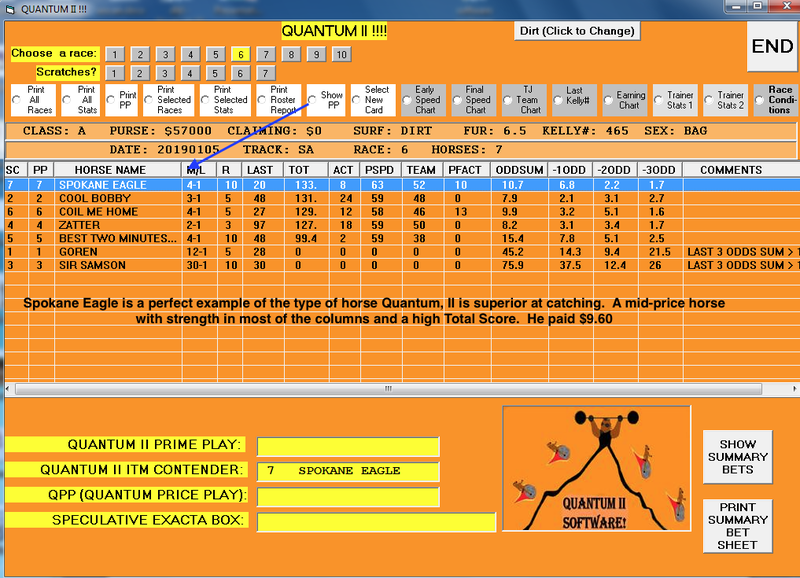 Quantum, II enables you to pinpoint winning & in-the-money selections in almost every single race… at all tracks! 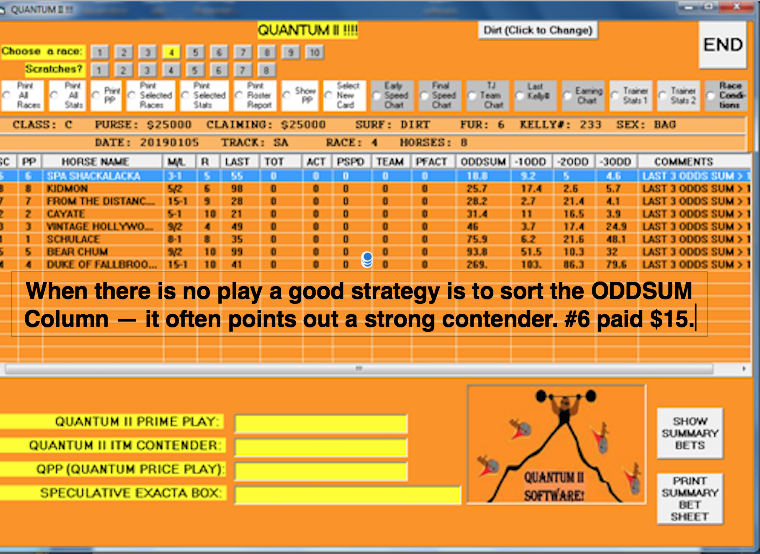 The win/in-the-money percentage of Quantum, II is in the 34% to 77% range. Win ROI +31% — Place ROI +18.5%. Engineering theory and mathematics are and have been used in virtually every aspect of our lives and history, from the construction of the pyramids to developing power systems, to mapping out the stars to creating paperclips. 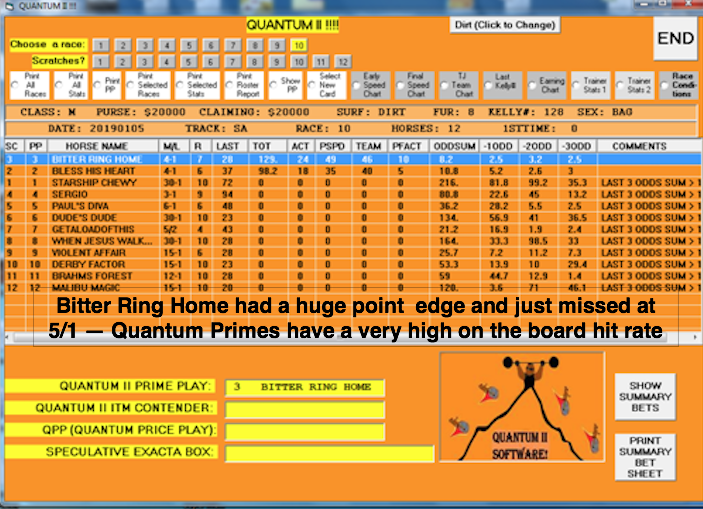 and even friendlier to games like ours, where there are ‘quantifiable’ statistics available. It clearly shows there is a very predictive element using that combo, with a few other things thrown in to make the method even stronger. And it’s extremely simple to use — maybe 5 minutes per race longhand, or Instantly of course with the software. 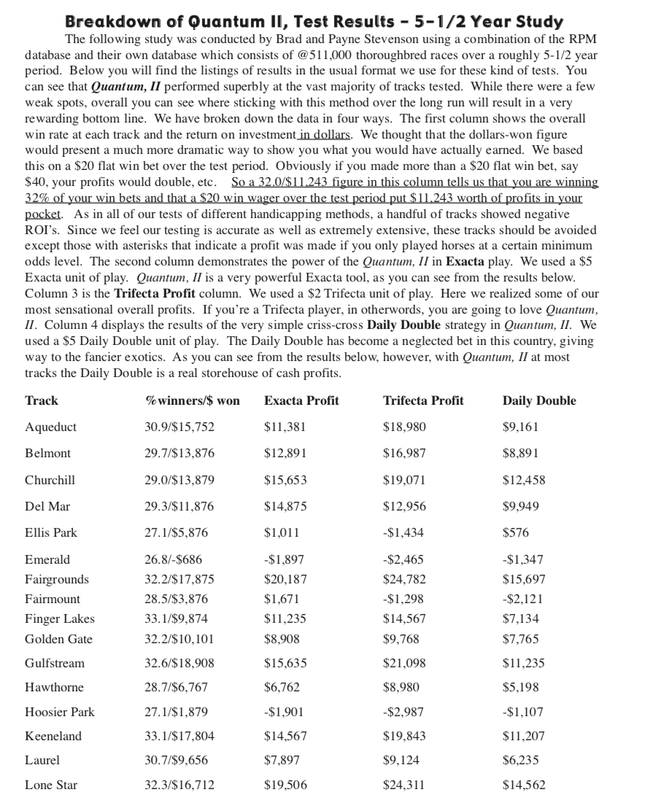 And because you will be using a unique formula that few other horseplayers have even conceived of, not only will you experience consistency, but you will also catch some great longshot prices. 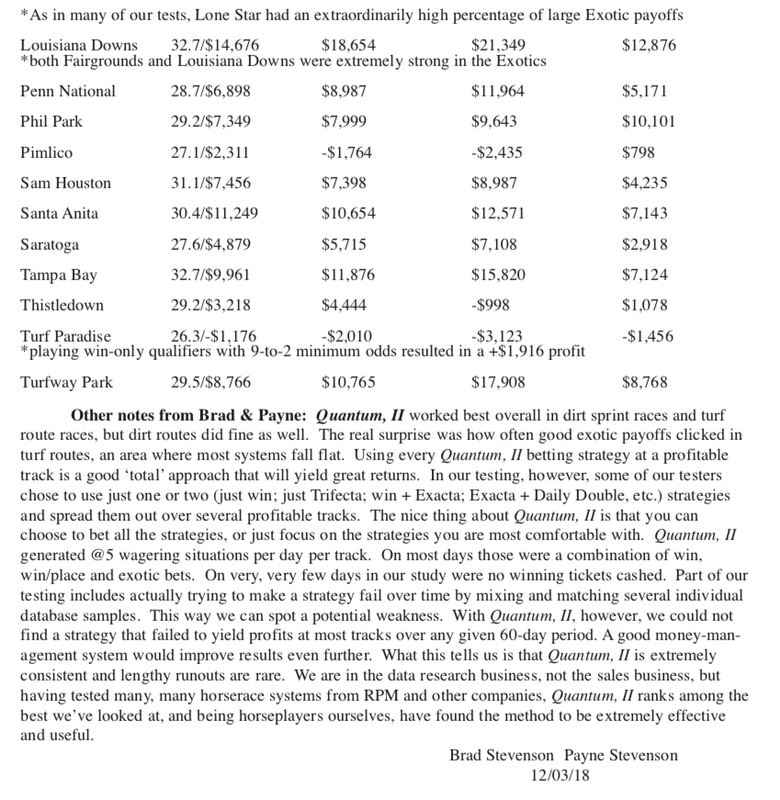 Below is the actual engineering equation which Jason converted into The Quantum, II racetrack system — it is actually a ‘probability’ formula used in many ‘what-if’ type situations in a variety of industries. While the full formula is programmed into the Quantum, II Software, Jason has reduced the equation to two very simple rules in the paper version. 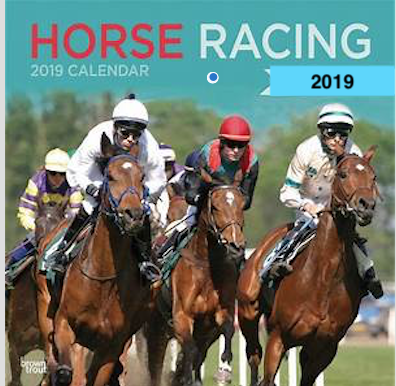 You can likely do the figuring in your head or simply use a hand-held calculator to find the speed/odds ratio necessary to make a horse a contender. Then there are just a couple of other rules to insure that the play is as solid as possible and that’s all there is to it! >>>When you purchase Quantum, II, you will also be provided with both the requirements for Straight wagering as well as betting strategies for the Exotics. The ‘change’ being that you are now winning rather than losing! 1) The Super Hi-5 — Logical Wagering Strategies! You won’t hit this bet too often, but when you do you are usually looking at a payoff in the thousands and often in the tens of thousands, and this $48 retail publication will show you exactly how to best structure your tickets to have a fighting chance to cash in Big-time! The Quantum Software is not only lightning-quick, but is loaded with some incredible features! 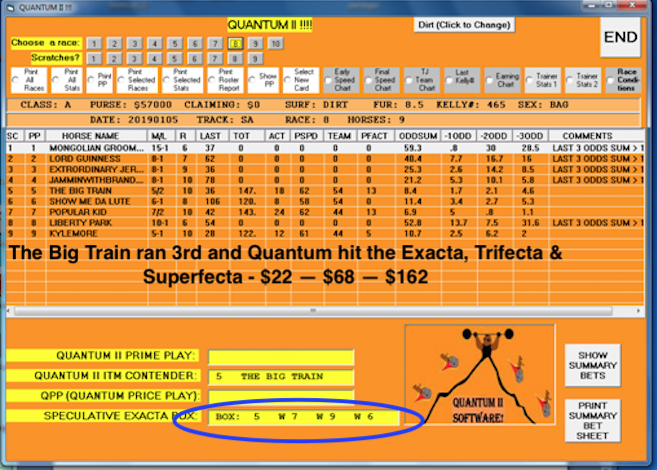 A Super-Accurate Exacta/Trifecta Box Selection — Check It out! Don’t Delay – Special Pricing good for just 14 days — Start the New Year off right with Quantum, II and your Super Bonus Pack!